« Where the donk does mGB store its channel 3 waveforms? Perhaps it’s KI3? Producing a full logo from half of a logo by mirroring it would be cute. Not that I know what KI3 is any more than KIS. And the middle character may be a 1 (one). Thanks for the idea. > This causes the CPU to glitch to jump to a random location. If you’re lucky, this allows you take control of the code execution and, again, dump the boot ROM. Can you elaborate more on this? Is there any link or any piece of information you can provide for taking a deeper look at this technique? Do you have the program you wrote to catch this and would you be willing to share it. It would be interesting to see. e: This is a black box behavior to me. I’m not exactly sure what’s happening. But, as an attempt to explain it: Normally, the clock oscillator will generate a clean square way, with a 50% duty, so the clock signal will look like this: ‾|_|‾|_|‾|_|‾|_|‾|_ and the CPU will do a new action on each positive edge. Under these theoretical conditions, the CPU works perfectly. When you’re glitching the clock, various things can happen to it. You might create a clock pulse that varies in time or doesn’t fully reach the top of the cycle. This may cause an operation to fail. For example, the CPU has a circuit to to increment (add 1) to the program counter (PC) in order to read the next instruction. 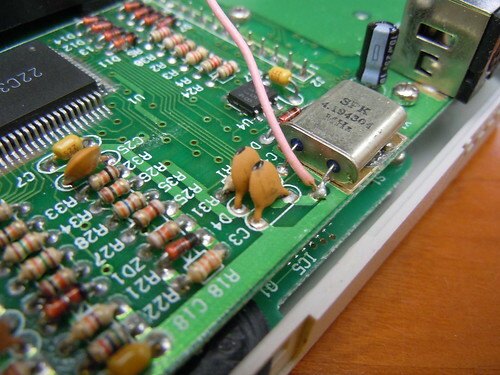 If the positive edge that is supposed to trigger this operation only reaches half of the maximum value, some transistors may no turn on, or turn on when they shouldn’t, and the calculation gives a different result than PC+1, and something other than the next operation is read. 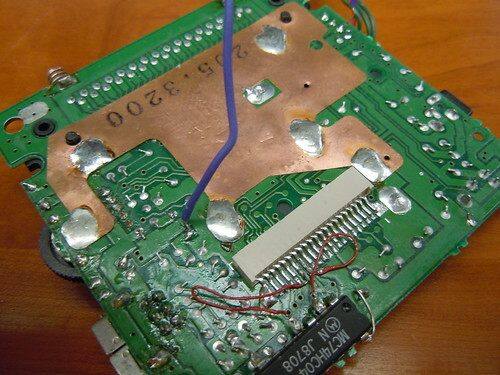 The Xbox360 was hacked in a similar way a couple of years ago. In that case the exploit consisted of giving a short reset pulse at a strategic time in order to make a certain instruction fail. You can read about that here or by googling Xbox360 reset glitch. sleepy9090: Yes, I will release it in due time, but I first want to take the time to write a post describing exactly how the program works. Excellent that’s what I was hoping for. Thanks and great work. Very cool, i really enjoyed reading the article and I’ve spent the evening looking for more info on Glitching/Sideband attacks, GameBoy hacks and stuff. Maybe the logo says R13, and represents the bios revision. 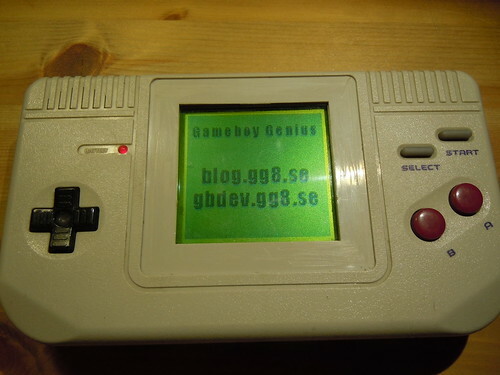 This page was previously hosted on http://gameboygenius.8bitcollective.com/wordpress/2014/12/09/dumping-the-boot-rom-of-the-gameboy-clone-game-fighter/ (*).